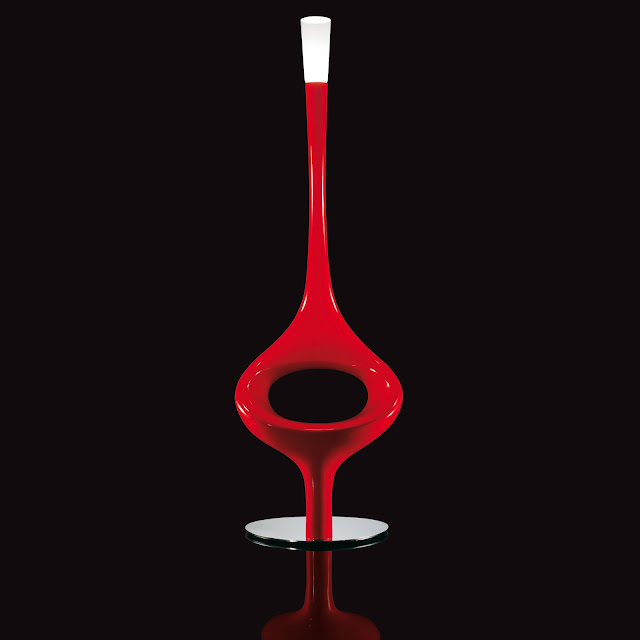 Kundalini Asana Floor Lamp by Giorgio Gurioli. A truly spectacular modern floor lamp with instant appeal. At first glance, Giorgio Gurioli's Asana Floor Lamp seems to be frozen in the frenzied climax of some kind of perpetual movement. The free-flowing form writhe and undulate, seemingly without end at times, creates a real visual and textural feast for the senses. The Asana Floor Lamp has another function; in its center is an integrated void that can act like a seat. 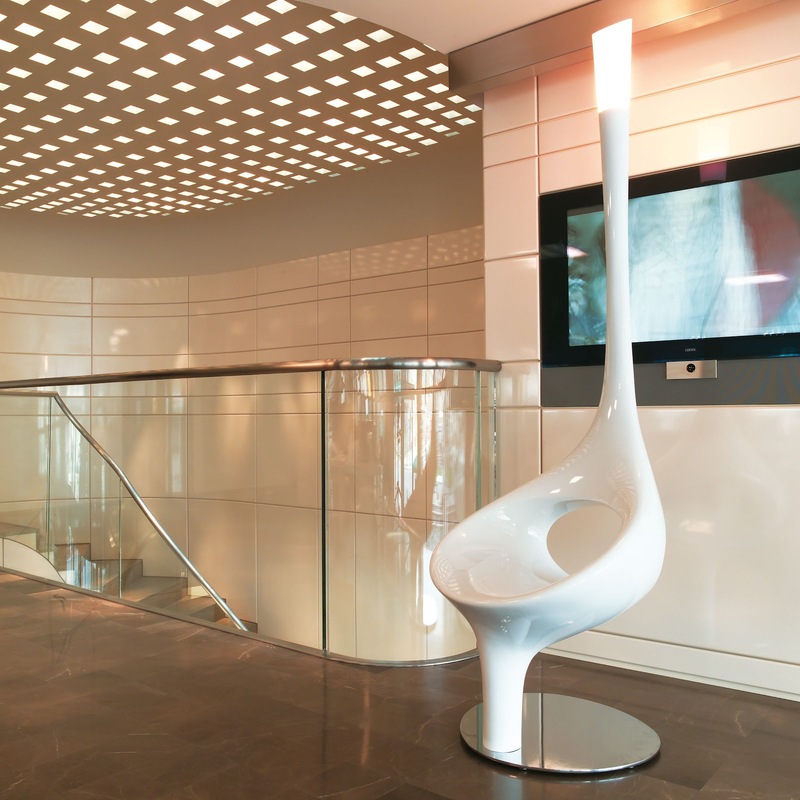 The beautiful Kundalini Asana Floor Lamp makes a big statement with a minimalist impression. Due to its large size, the Asana floor light is both a light source as well as a beautiful sculpture that will enhance any space. This floor lamp is made with high gloss lacquered fiberglass. The integrated seat is fixed onto a chromed steel base. The diffuser on top of the lamp is made with Murano triplex blown glass. Stardust offers the Kundalini Asana Floor Lamp by Giorgio Gurioli at guaranteed low pricing and free shipping. Our knowledgeable Kundalini lighting experts will be pleased to assist you with any questions you may have about the Kundalini Asana Floor Lamp. The Kundalini Asana Lamp is part of the Kundalini modern lighting collection which includes Italian designed contemporary modern floor lamps, table lamps, pendant lamps, light fixtures and wall sconces. Every Kundalini lamp is made in Italy.